Light and fluffy, this cheesecake whispers with a hint of lemon zest and vanilla bean. Nestled into a dark chocolate cookie crust, this creamy confection will surprise and please even the toughest of palates. 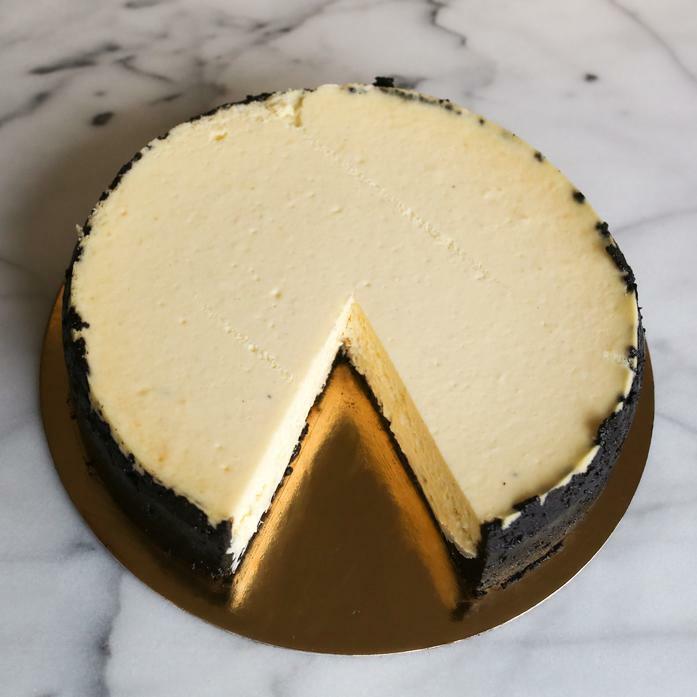 Featured in Food & Wine's America's Best Cheesecakes, September 2015. Named "The Absolute Best Cheesecake in New York" by NY Magazine, May 2016. Ingredients: Cream cheese, sour cream, eggs, sugar, lemon, pure Madagascar vanilla bean paste, fresh creamery butter, cookies for crust.